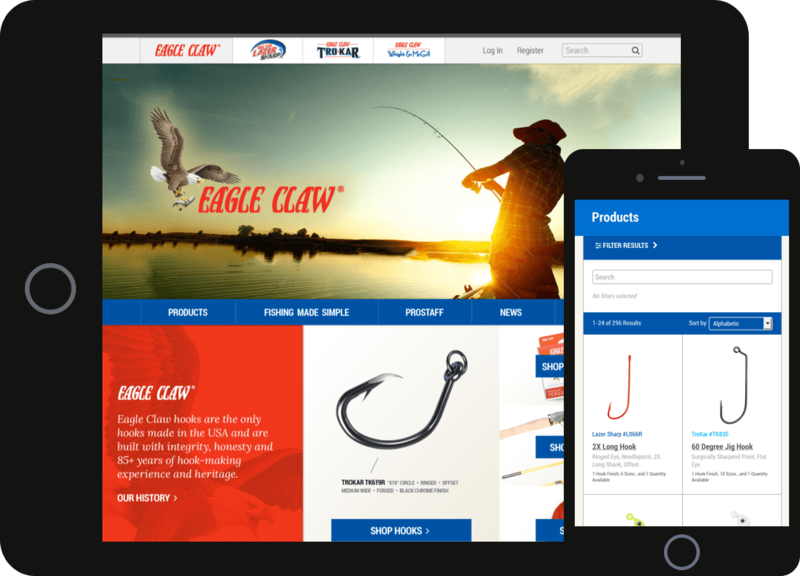 Founded in 1925, Eagle Claw is the most recognizable name in fishing. Fusionbox unified the Eagle Claw brand family into a responsive umbrella website. Eagle Claw came to Fusionbox seeking to bring their catalogue of thousands of products online. We used Python/Django to build an e-commerce site that would not only support their extensive catalogue, but also incorporate content and inventory management capabilities.